It all began in week #2. 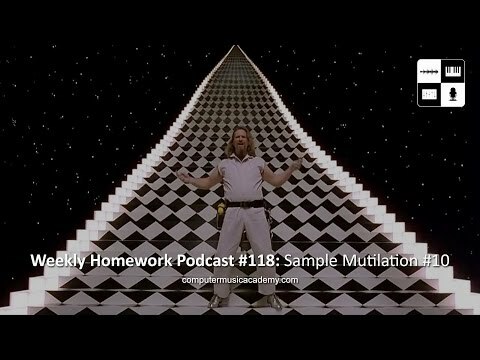 The recurring assignment that ignited and defined the Weekly Homework Assignment / Podcast appropriately named, Sample Mutilation. It's one of your more popular podcasts and every time we release another, it not only grows our fan base, but our membership. Simultaneously reinforcing our confidence in our craft. This time will be no different. Every participant receives the same sample and the goal is to mutilate it beyond recognition while creating some new. This is volume #10.